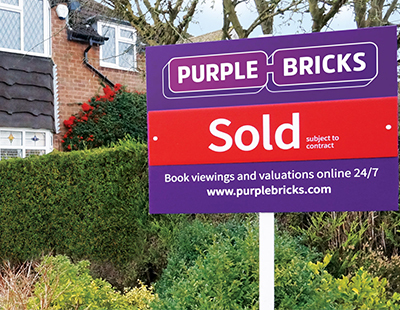 It’s been revealed that the creators of Purplebricks came up with the name while brain-storming around a kitchen table - and without the help of consultants, branding gurus or marketing experts. In a podcast recorded in Northern Ireland, where Purplebricks founders Michael and Kenny Bruce grew up, it is revealed that the brothers thought of it with a colleague and friend David Shepherd as they sat around a kitchen table. Michael Bruce tells the podcast: “We sat around the table and the first thing [David] said was ‘Look, guys, I'm happy to help you fulfil this dream, but I need to know who I'm working for because I won't be able to concentrate on it until I know. ... The first thing I need to know is the name.’"
He then explains that the three wanted the brand “to stand for integrity, strength of character, even to some degree, regalness” and after some consideration the colour purple was considered the most appropriate to symbolise these values. The podcast transcript, now online here, also contains more details of the story we ran earlier this week about Purplebricks claiming that traditional agents only sold around 50 per cent of the properties they marketed. Is this really a newsworthy article, or just the need to have a Purple Bricks 'daily' story. Agreed. I like EAToday but it is starting to feel like a PB blog. Happy to hear newsworthy stories. Quite a quirky and interesting article I thought - perfect for a Friday morning. Not exactly ground-breaking, but a decent insight into the world of PB. What is this fascination with anything PB do/think/say...I couldn't care less whether this shower thinks they are regal, or just a bunch of bricks; does anybody else? I am probably going to unsubscribe from this news feed as I no longer wish to be spoon-fed PB propaganda EVERY DAY. I expect the journos will probably tell us tomorrow how many Weetabix Bruce had for breakfast that day. It smacks of lazy journalism if you want my opinion. Why not give a few of the smaller independents a bit of air tme? Come on EAT, give us something worth reading. Not quite sure how this is propaganda - it's not got any positive slant in favour of PB. It's not praising them to the high heavens, is it? 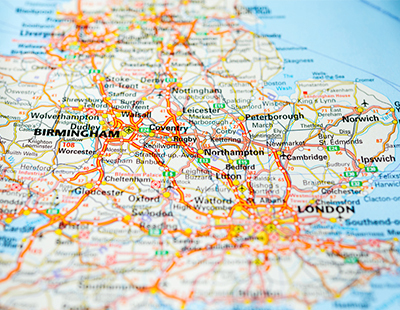 It's just an article about where the PB name originally came from, which might prove interesting to some, just as the origins of Savills, Foxtons, Rightmove, Zoopla or OTM might. Not every single story can be hard-hitting journalism, can it? Although I agree that small independents are perhaps ignored a bit - then again, they don't have the reach or profile that a big, controversial agent does. People complaining about PB stories yet they are the only ones that get any comments on. There are plenty of other news pieces done daily by EAT & PIE but the only ones that get comments are the PB ones. Maybe if you all cared to comment on the others or stopped commenting on the PB ones they wouldn't post as much PB rubbish.